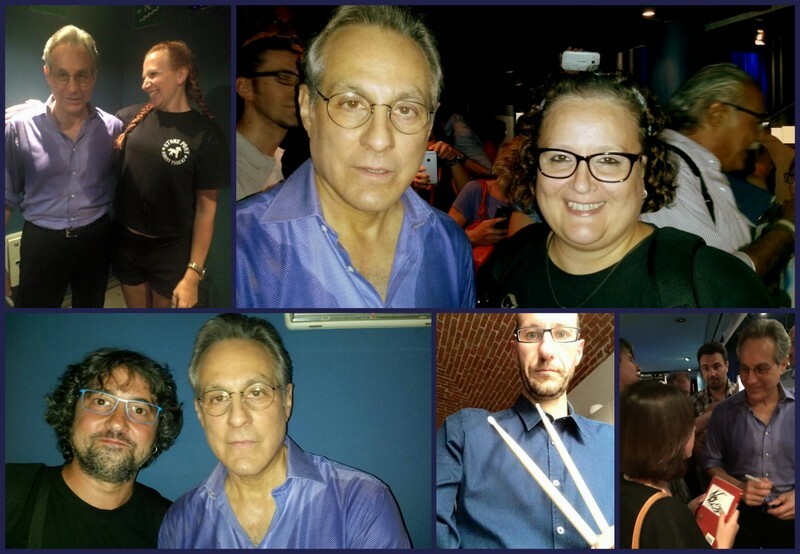 yesterday we attended a Max Weinberg show, he is touring with his Max Weinberg Jazz Quintet, featuring Brandon Wright on the saxophone, Dave Kikoski at the piano, Cameron Brown on the double bass and John Bailey (trumpet), very skilled musicians. The repertoire is not in our “usual” rock’n’roll chords per se, but we appreciated the evening and the music, which was compelling and not too “hard ” jazz, mainly classic forties and fifties be-bop. And the band is really competent, we are no expert in this genre but we do recognize amazing technical level. Plus, they are fun! And anyway it’s good, because we love Max, he has been in our lives for so long that he’s up there performing and it’s like Tonight I’m going out see playing my favourite uncle, I’m just gonna sit there and enjoy everything. At the end he stopped to greet and have some chats with the fans, he was very kind, a real gentleman. He’s Mighty, and considerate too!